See Shakti Caravan's work in practice! Livia and Bill Vanaver bring alive Barbara Bash's children's book about the life of an Indian banyan tree in dance, music, and theatre. This delightful event was enacted by the Tamil village children of the Aikiyam School in Auroville, India, and performed by 125 first to fifth graders, within the school's banyan grove. Dancing in the Classroom . . .
Shakti Caravan's school programs combine the gentle, holistic teaching practices of Vanaver-trained Teaching Artists with BMCT's mission to enrich and enliven the city of Udaipur. We bring movement right into classroom. We don't just teach the steps of a dance, we teach the stories behind the them—linking to history, social movements, and tradition. We have worked in a many schools, and have seen the positive impact that our dance programs make. From the complex history and rhythms of the South African Gumboot dance to the honored life of the Hula Dancer, our high-spirited school assemblies and education programs teach people how dance can connect the world. Vanaver teachers know an extensive repertoire of dances from all over the world. We work with teachers and school administrators to choose dances and develop the best curriculum for their students. We teach all ages, grades, and abilities and cater each of our programs to the needs and requests of the school. Since our partnership began in 2012 we have completed two three-week teaching tours. We have worked in six Udaipur Schools: Mahilla Mandal's Indigenous Girl's Schools, St. Paul's Senior Secondary School, Saint Mary's Catholic School, St. Matthew's School, and Swaraj University. Each class learned a different style of dance from around the world and performed together in our culminating dance sharing for all the school communities. In addition to teaching children and teens in Udaipur, wedeveloped curricula and shared our teaching practices with administrators and teachers at each school, creating an ongoing partnership with these schools. 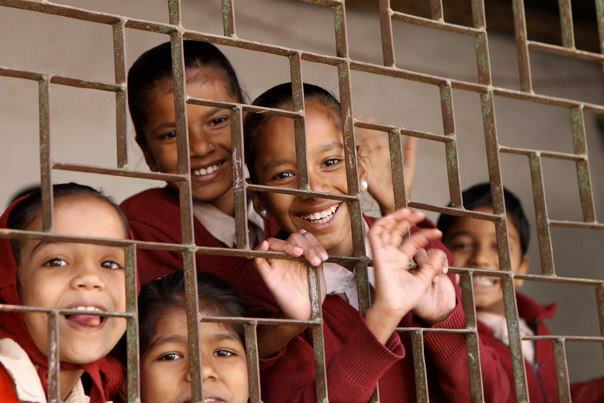 Interested in having Shakti Caravan come to your school? For a list of world dances, check out our Dance Encyclopedia. Programs can be developed for the specific geographic area our group is studying . Caravan directors Bill and Livia Vanaver have researched and compiled one of the most extensive resource collections of international & American dance and music, and teachers and schools have the world at their feet, when it comes to choosing dances and songs as workshop subjects. Example: In a five-day residency, days 1 – 4 are spent learning the dances, on day 5 -we hold a full dress rehearsal in the morning, and a culminating assembly in the afternoon for the entire school. We’re also happy to stay for an evening performance for the community that can include our professional company. Example: a 3rd grade residency can focus on regions of the world, culminating in a global dance festival where each class “becomes” a different country. Through learning the dance and music, and the reasons why people dance, the students and teachers personally experience how people from other cultures express themselves, while discovering self-awareness and their own abilities to relate to others. Photo by R.J. Partington III from our 2012 Pilot Project.